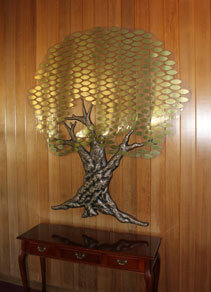 new and innovative concepts to memorialize their departed loved ones. 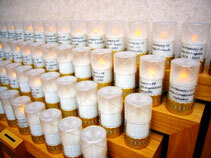 In our Ressurection Mausoleum and Christ in the Garden Mausoleum you also will find Memorial Candles. These candles are available for yearly subscription or for use on a daily visit. In our chapel, we offer another unique memorial opportunity. Our beautifully sculpted Tree of Remembrance has hundreds of individual "leaves" on which we will inscribe the names of loved ones as a permanent tribute to their life and memory.